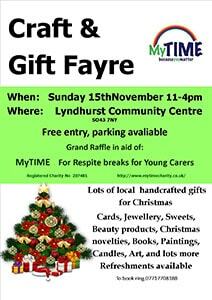 A fayre to show the talents of local crafts and gift ideas for Christmas. Come along for a fabulous day out in the heart of the New Forest. There will be a large selection of stalls, lots to see and buy, refreshments, cakes, sweets, all types of handmade local crafts and a stalls for all the family to enjoy.